The armed wing of Hamas has said it will step up attacks and fire rockets at Israeli towns of Ashdod and Beersheba if Israel continues to carry out airstrikes in Gaza. The warning was issued on Tuesday, hours after a rocket fired from Gaza killed an Israeli man in a direct hit on a residential building in the coastal town of Ashkelon. 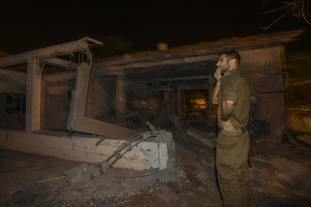 The rocket was fired after an Israeli airstrike destroyed Hamas’ TV building in Gaza. The spokesman for the Hamas military wing, identified only as Abu Obeida, said in a statement that Ashkelon “has entered the range of fire as a response to the bombing of buildings in Gaza”. He said that Ashdod and Beersheba “are the next targets if the enemy continues bombing civilian buildings”. Of the three cities, Ashkelon is closest to Gaza. A woman was critically injured in the rocket attack that killed a man in Ashkelon. The death was the first casualty in Israel from the most intensive wave of attacks since the 2014 Gaza war. Gaza militants pummelled Israel with dozens of rockets and the Israeli military responded with strikes against militant targets in Gaza. 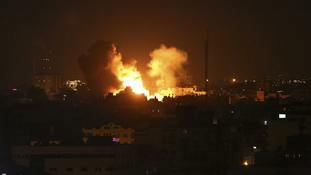 The military said there were some 370 launches from Gaza since the current round began on Monday afternoon. About 100 of them were intercepted by Israel’s Iron Dome defence system. 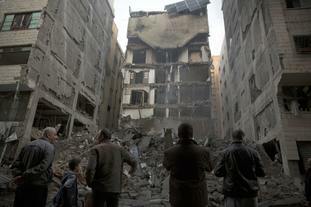 Israel has struck more than 100 militant targets in Gaza.